Neuropathic pain is a form of chronic pain that is usually caused by tissue injury and causes damage to the nerve fibers as a result. Patients with neuropathic pain experience shooting and burning pain or tingling and numbness. These symptoms can occur anywhere on the body, depending on which nerves are affected. 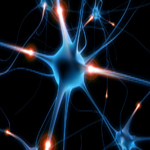 Neuropathic pain often has no specific cause, but may be influenced by conditions such as diabetes or multiple sclerosis, or by procedures such as chemotherapy, amputation or spine surgery.